The Russian Investigative Committee has data suggesting that the Malaysia Airlines flight MH17 was most likely brought down by an air-to-air missile produced outside of Russia, committee spokesman Vladimir Markin said Wednesday. MOSCOW (Sputnik) — Malaysia Airlines flight MH17, en route from Amsterdam to Kuala Lumpur, crashed near Donetsk in eastern Ukraine in July 2014, killing all 298 people on board. “Regarding the priority version, we have data, including the one based on the results of examinations, [that suggests that] the plane was shot down by an air-to-air missile… Moreover, experts believe that they have established the type of missile and this is not a Russian-made missile,” Markin said. The data that the Russian Investigative Committee possesses, confirms the testimony of Evgeniy Agapov, a witness from Ukraine who served as a mechanic in the First Squadron Brigade of Tactical Aviation of the Ukrainian Air Force, he added. In December, a former Ukrainian airbase employee, whose name at the time was not disclosed, said he saw a Ukrainian Air Force Su-25 combat jet carrying air-to-air missiles taking off, on the day of the tragedy, from an airbase in eastern Dnipropetrovsk, and later seeing the same plane return without any missiles. 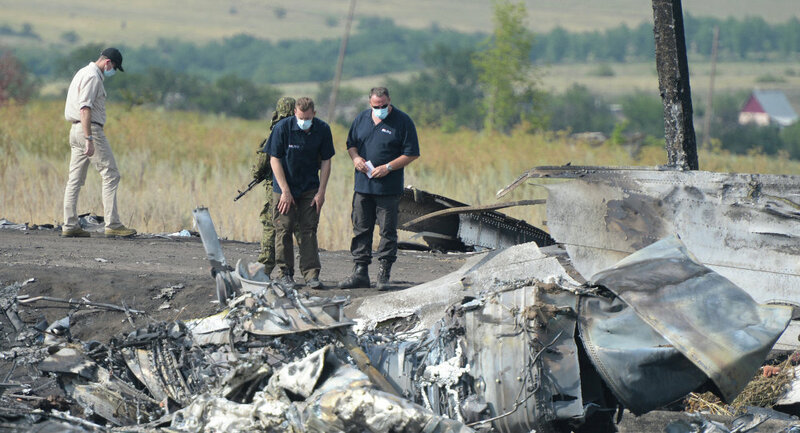 Kiev blamed the independence supporters in eastern Ukraine for shooting down the plane. However, local militia insisted that they did not possess weapons capable of bringing down an aircraft flying at 32,000 feet. Russia has repeatedly stressed the importance of a transparent international investigation into the tragedy. The Dutch Safety Board is due to release a final report on the tragedy in October 2015.